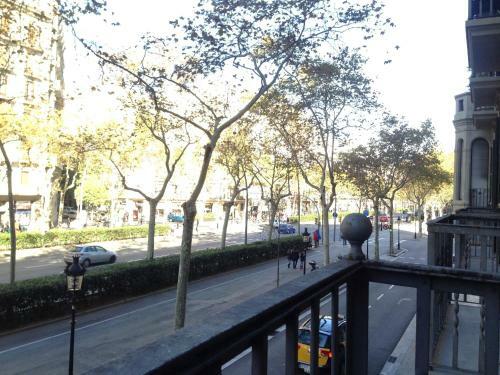 Des Artistes is located on Barcelona’s Gran Vía Avenue, next to Tetuán Square. 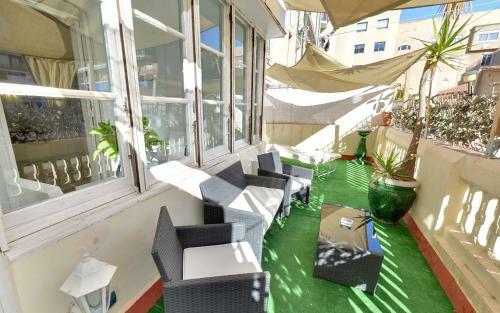 It offers a reading room and a shared terrace. Rooms come with heating and a fan is available in summer. All have a shared bathroom and some have a balcony. Please note that loss of the room keys carries a € 50 surcharge. 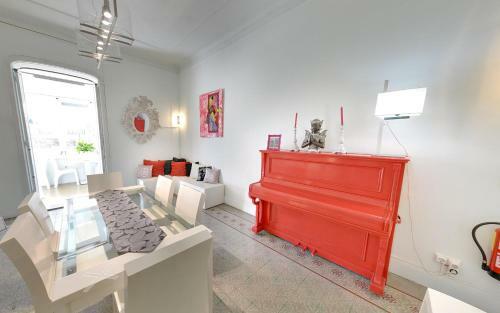 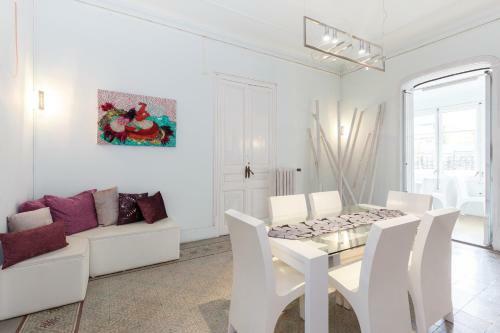 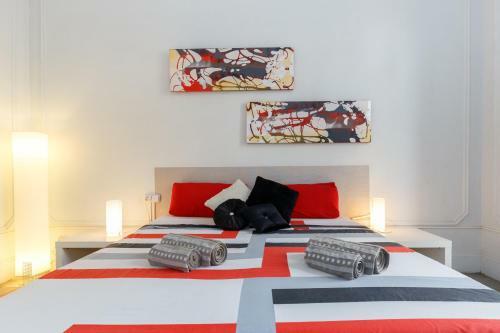 This modern room features design furniture, a large double bed and a private balcony. 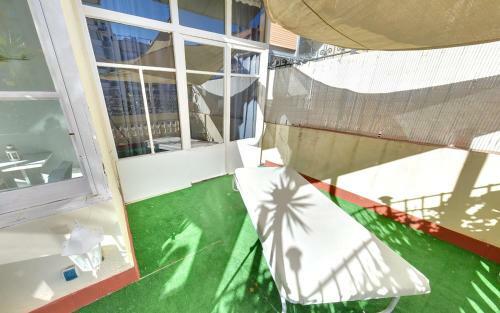 It comes with central heating, a fan and a shared bathroom. 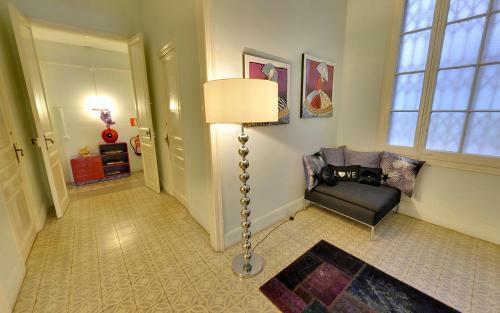 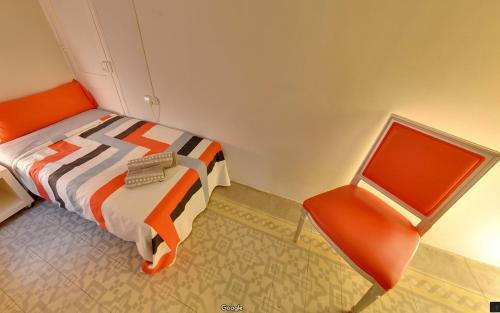 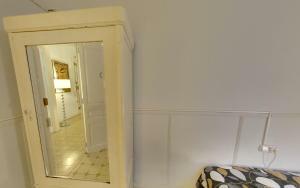 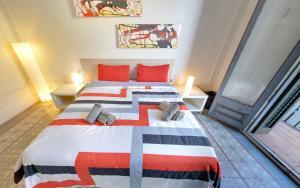 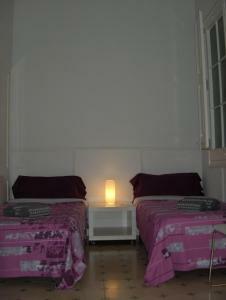 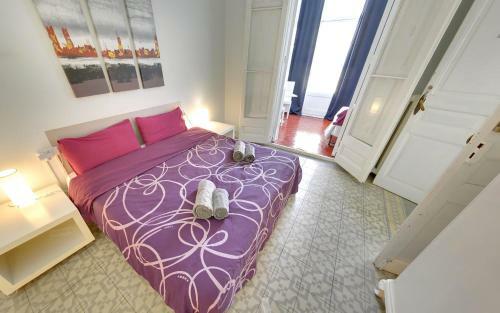 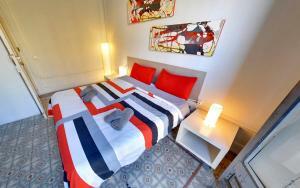 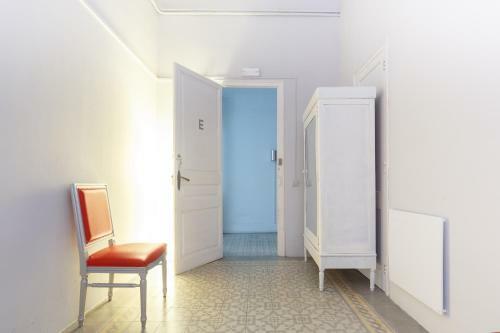 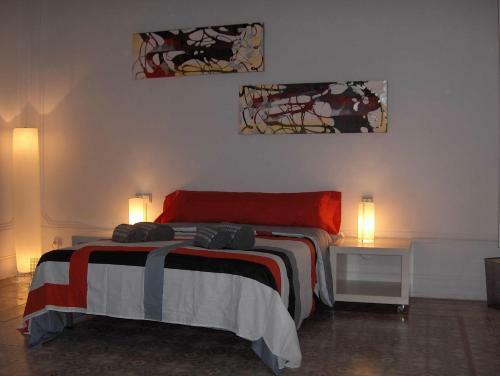 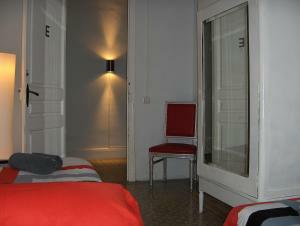 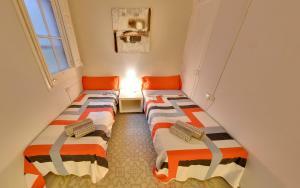 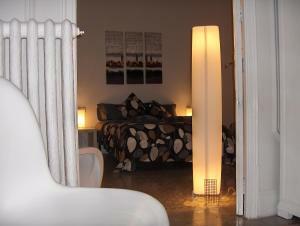 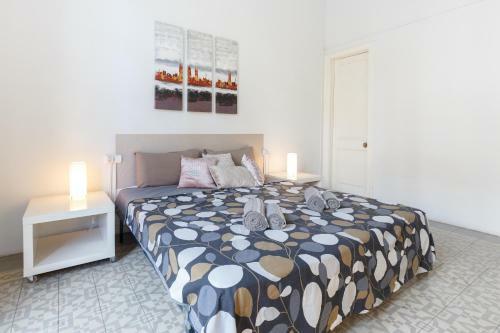 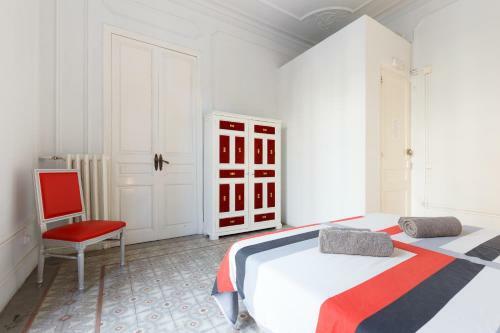 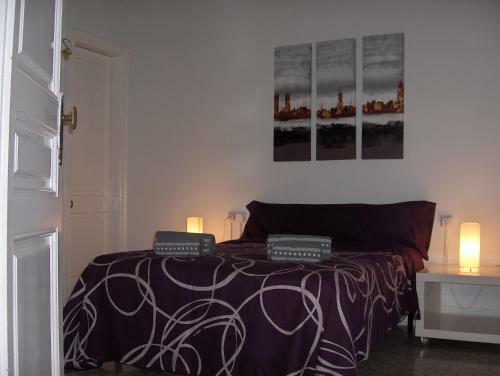 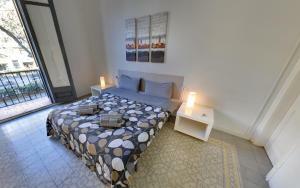 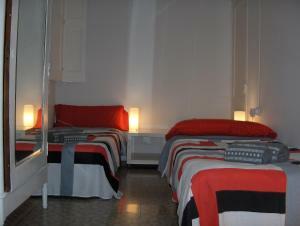 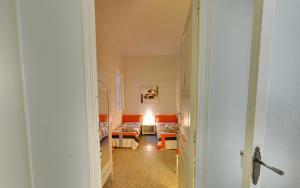 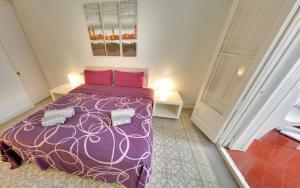 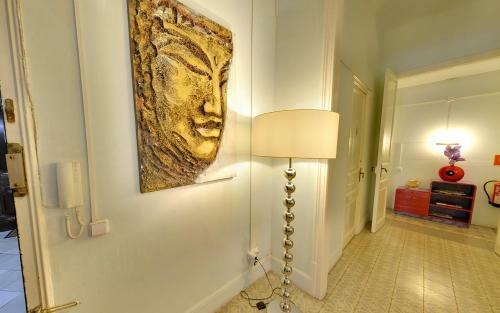 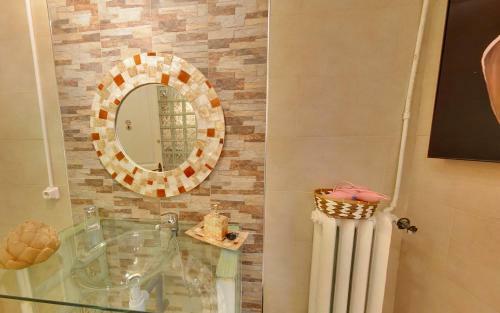 An extra bed is available for this room type for EUR 30 per night. Rate: € 66.75 ... € 115.00; select dates below to get current rates. 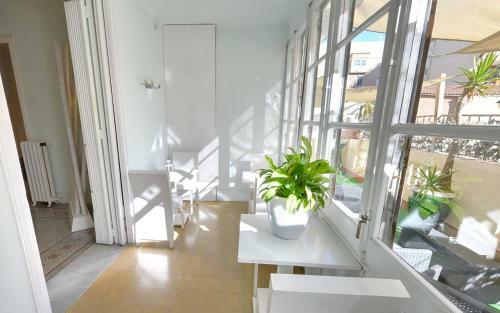 This modern room features design furniture and a large window. 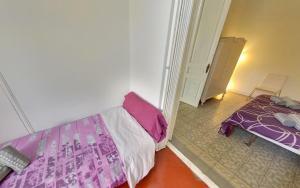 It comes with central heating, a fan and a shared bathroom. 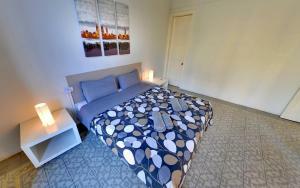 Rate: € 64.00 ... € 115.00; select dates below to get current rates. 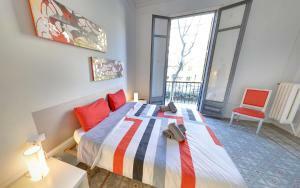 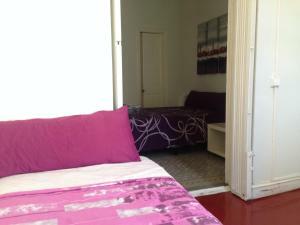 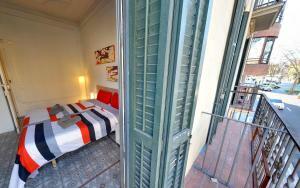 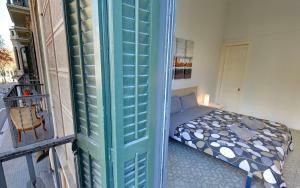 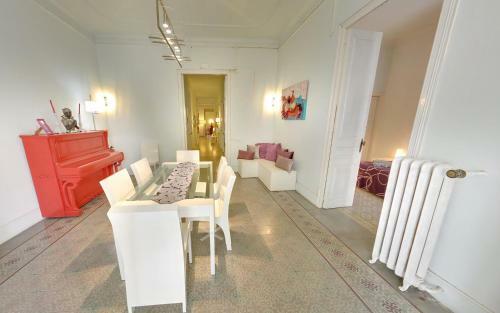 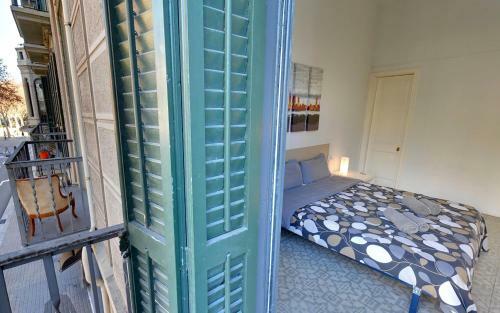 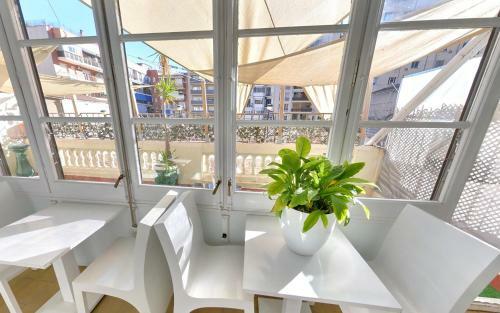 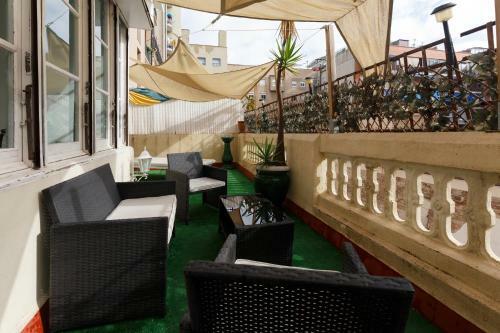 This triple room has a balcony, one double bed and one single bed. 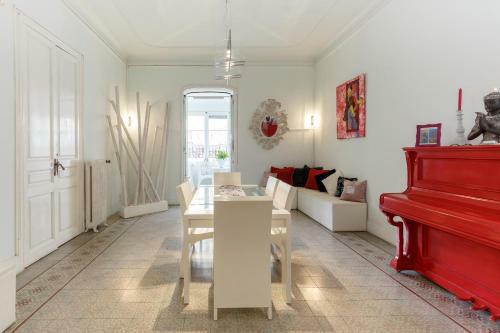 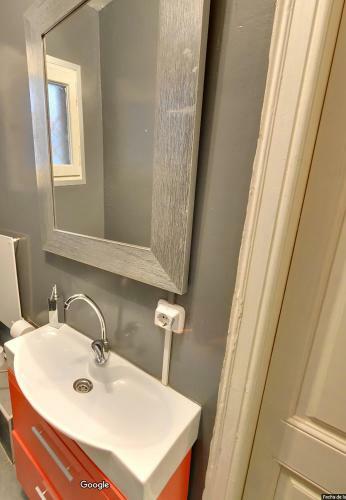 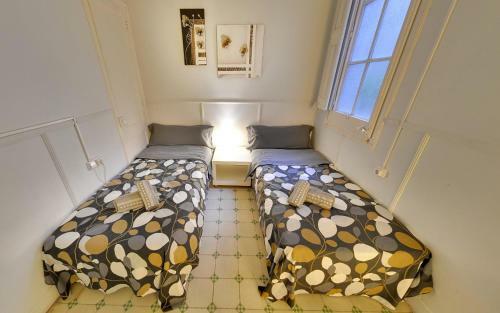 It comes with central heating, a fan and a shared bathroom.